Profile: Eric Bolling is on a roll. 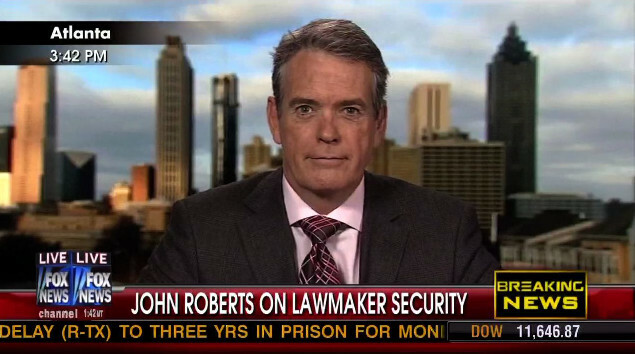 John Roberts makes FNC debut on Studio-B. Janice Dean has pictures of Courtney’s baby. Happy, happy! Joy, joy! Rick Sanchez resurfaces. Howard Kurtz on media finger-pointing. FNC’s Dr Coomer has successful cancer surgery. CNN revamps graphics, adds CNNi, names Piers guests. Leading candidate to replace Parker: E.D. Hill? 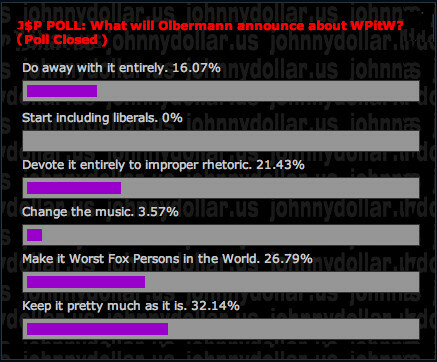 Olby to drop Worst Persons shtick again? Or not? Things for CNN to consider re Park & Spit. More. Q&A: Ailes & Simmons (via ICN), Eric Bolling, Gerri Willis. Hot & Not: Parker, John Roberts, O’Reilly, and more.